OPEL 5815010, 93181022. GMC 93181022. HOLDEN 93181022. VAUXHALL 93181022. HOLDEN ASTRA (AH) 1.9 CDTI Hatchback Diesel 06/2006 03/2010 FWD 16 150 110. HOLDEN ASTRA (AH) 1.9 CDTI Hatchback Diesel 06/2006 03/2010 FWD 8 120 88. OPEL 13238851, 5815058, 93188874. CHEVROLET 13238851, 93188874. HOLDEN 13238851, 93188874. SAAB 13238851, 93188874. VAUXHALL 13238851, 93188874. HOLDEN ASTRA (AH) 1.8 i Hatchback Petrol 04/2007 03/2010 FWD 16 140 103. OPEL 5815010, 93181022. 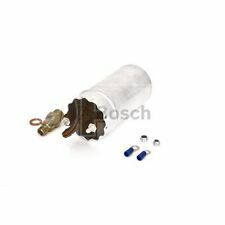 Fuel Pump In tank 0580303052 Bosch. Part Number 0580303052. GMC 93181022. HOLDEN 93181022. VAUXHALL 93181022. Function Fuel Feed Unit. Model year to: 07/2010. OPEL 13238848, 5815055, 93188871. GMC 13238848, 93188871. SAAB 13238848, 93188871. HOLDEN 93188871. VAUXHALL 13238848A, 93188871. HOLDEN ASTRA (AH) 1.9 CDTI Hatchback Diesel 06/2006 03/2010 FWD 16 150 110. OPEL 13119487, 5815023, 93181019, 93184120. HOLDEN 13119487, 93181019, 93184120. CHEVROLET 13119487, 93184120. VAUXHALL 13119487, 93184120. HOLDEN ASTRA (AH) 1.8 i Hatchback Petrol 04/2007 03/2010 FWD 16 140 103. You are looking at another quality product from Auto 8. Please tap Read More below to see more information including Fitment Data, Specifications and our Warranty Terms and Conditions. OPEL 13238848, 5815055, 93188871. GMC 13238848, 93188871. SAAB 13238848, 93188871. VAUXHALL 13238848A, 93188871. 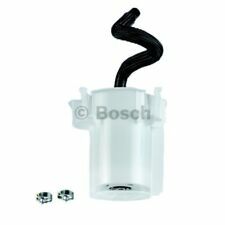 Fuel Pump In tank 0580303088 Bosch. Part Number 0580303088. HOLDEN 93188871. Function Fuel Feed Unit. (D70) 08/1989 -. 12/1982 1995 90 122 132 C3.000 Sedan. FIAT 132 (132_) 2.0 i.e. 01/1980 -. 07/1997 2498 125 170 X 25 XE; C 25 XE Coupe. ACI-AVESA ABG-1031. 07/1997 1998 150 204 C 20 LET Coupe. 11/1985 1995 77 105 132 C3.031 Convertible. Other than that, there isn't really such a thing as a diesel engine oil as the vast majority of oils are suitable for both petrol and diesel engines, regardless of how they are marketed. If you look at the specifications listed on an oil, there is usually an ACEA A and an ACEA B specification. VAUXHALL 13238848A, 93188871. HOLDEN ASTRA (AH) 1.9 CDTI Hatchback Diesel 06/2006 03/2010 FWD 16 150 110. HOLDEN ASTRA (AH) 1.9 CDTI Hatchback Diesel 06/2006 03/2010 FWD 8 120 88. HOLDEN ASTRA Estate (AH) 1.9 CDTI Estate Diesel 08/2008 03/2010 FWD 8 120 88. VAUXHALL 13119487, 93184120. HOLDEN ASTRA (AH) 1.8 i Hatchback Petrol 04/2007 03/2010 FWD 16 140 103. HOLDEN ASTRA Estate (AH) 1.8 i Estate Petrol 04/2007 03/2010 FWD 16 140 103. HOLDEN ASTRA SPORTSBACK (AH) 1.8 i Coupe Petrol 07/2005 03/2008 FWD 16 122 90. (BMW 5 (E28) 518 i Saloon Petrol 05/1981 12/1987 RWD 8 102 75. BMW 5 (E28) 520 i Saloon Petrol 06/1981 12/1987 RWD 12 125 92. B1H) Saloon Petrol 08/1989 02/1992 RWD 8 129 95. BMW 5 (E28) 520 i Saloon Petrol 08/1985 12/1987 RWD 12 129 95. OPEL 13238851, 5815058, 93188874. CHEVROLET 13238851, 93188874. HOLDEN 13238851, 93188874. Fuel Pump In tank 0580314195 Bosch. SAAB 13238851, 93188874. Part Number 0580314195. VAUXHALL 13238851, 93188874. HOLDEN BARINA Hatchback (SB) 1.6 i Hatchback Petrol 04/1994 08/1998 FWD 16 104 78. OPEL TIGRA (S93) 1.6 16V (F07) Coupe Petrol 07/1994 08/1998 FWD 16 106 78. OPEL CORSA B (S93) 1.6 i 16V (F08, F68, M68) Hatchback Petrol 09/1994 09/2000 FWD 16 106 78. OPEL 13119487, 5815023, 93181019, 93184120. HOLDEN 13119487, 93181019, 93184120. CHEVROLET 13119487, 93184120. Fuel Pump In tank 0580314082 Bosch. VAUXHALL 13119487, 93184120. Part Number 0580314082. HOLDEN ASTRA (AH) 1.8 i Hatchback Petrol 04/2007 03/2010 FWD 16 140 103. CHEVROLET 815038, 9196213. HOLDEN 815038, 9196213. OPEL 815038, 9196213, 9231014. SAAB 815038, 9196213. VAUXHALL 815038, 9196213. HOLDEN ASTRA Convertible (TS) 2.0 i Turbo Convertible Petrol 06/2002 07/2004 FWD 16 200 147. OPEL 815046, 815069, 816007, 915070, 93171075, 93173977, 93174221, 93183433, 93183434, 93183804, 93184983, 93184986, 93184987, 93185093, 93186283, 93188233, 93188240. Fuel Pump In tank 0986580807 Bosch. OPEL 815046, 815069, 816007, 915070, 93171075, 93173977, 93174221, 93183433, 93183434, 93183804, 93184983, 93184986, 93184987, 93185093, 93186283, 93188233, 93188240. VAUXHALL 93171075, 93173977, 93174221, 93183433, 93183804, 93186283, 93188233, 93188240. OPEL 815012, 815073, 90297154, 90322493, 93187003, 93187033. Fuel Pump In tank 0580314154 Bosch. Part Number 0580314154. VAUXHALL 90297154, 90322493. GMC 93187033. HOLDEN BARINA Hatchback (SB) 1.2 i Hatchback Petrol 04/1994 07/1997 FWD 8 44 33. HOLDEN 09120218, 90119098, 90451593, 9120218. Fuel Pump In tank 0580454140 Bosch. Part Number 0580454140. OPEL 815037, 9120218, 9128644. VAUXHALL 9120218. ASIA MOTORS TOWNER Box (AS_) 0.8 Box Petrol 07/1992 12/2002 RWD 8 42 31. (B1H) Saloon Petrol 08/1989 02/1992 RWD 8 122 90. B1H) Saloon Petrol 08/1989 02/1992 RWD 8 129 95. BMW 5 (E28) 520 i Saloon Petrol 06/1981 12/1987 RWD 12 125 92. B1F) Saloon Petrol 09/1988 02/1992 RWD 8 120 88. OPEL 815012, 815073, 90297154, 90322493, 93187003, 93187033. HOLDEN BARINA Hatchback (SB) 1.2 i Hatchback Petrol 04/1994 07/1997 FWD 8 44 33. HOLDEN BARINA Hatchback (SB) 1.4 i Hatchback Petrol 04/1994 07/1997 FWD 8 59 44. VAUXHALL CARLTON Mk III Saloon (V87) 2.0 Saloon Petrol 09/1990 03/1994 RWD 8 99 73. VAUXHALL CARLTON Mk III Saloon (V87) 2.0 Saloon Petrol 09/1990 03/1994 RWD 8 100 74. VAUXHALL CARLTON Mk III Saloon (V87) 2.0 Saloon Petrol 09/1986 03/1994 RWD 8 115 85. OPEL 815038, 9196213, 9231014. CHEVROLET 815038, 9196213. HOLDEN 815038, 9196213. SAAB 815038, 9196213. VAUXHALL 815038, 9196213. Fuel Pump In tank 0580453489 Bosch. Part Number 0580453489. CHEVROLET ASTRA Hatchback 2.2 Hatchback Petrol 08/2000 08/2004 FWD 16 147 108. OPEL 815005, 90136950, 90167397. HOLDEN 90136950. HOLDEN CAMIRA Estate (JB) 1.8 MPFi Estate Petrol 11/1984 01/1986 FWD 8 111 83. HOLDEN CAMIRA Saloon (JD) 1.8 MPFi Saloon Petrol 11/1984 02/1986 FWD 8 113 83. OEM Numbers: 815038 / 8 15 038 / 9196213 / 91 96 213 / 92 31 014. CHEVROLET 815038. HOLDEN 815038. SAAB 815038. HOLDEN 9196213. VAUXHALL 8 15 038. VAUXHALL 91 96 213. OPEL 8 15 038. OPEL ASTRA F Hatchback (T92) 1.8 i 16V (F08, M08, F68, M68) Hatchback Petrol 06/1993 08/1994 FWD 16 125 92. OPEL ASTRA F (T92) 1.8 i 16V (F19, M19) Saloon Petrol 09/1995 09/1996 FWD 8 112 82. OPEL ASTRA F Hatchback (T92) 2.0 GSI 16V (F08, M08, F68, M68) Hatchback Petrol 09/1991 01/1998 FWD 16 150 110. VAUXHALL 93181022. HOLDEN ASTRA (AH) 1.9 CDTI Hatchback Diesel 06/2006 03/2010 FWD 16 150 110. HOLDEN ASTRA (AH) 1.9 CDTI Hatchback Diesel 06/2006 03/2010 FWD 8 120 88. HOLDEN ASTRA Estate (AH) 1.9 CDTI Estate Diesel 08/2008 03/2010 FWD 8 120 88.